We’ve featured Hill pets before, but the pups keep coming. 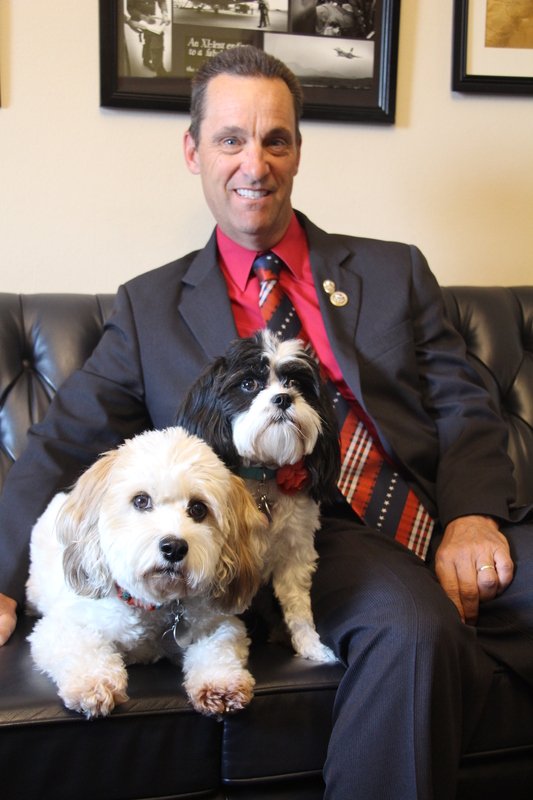 From rigorous job interviews to conservative credentials, here’s how these dogs earned their spots. “The dogs, like the rest of our staff and interns, underwent a rigorous application process with multiple rounds of interviews and writing samples. They were ultimately selected from a crowd of other competitive candidates for their leadership abilities, expertise in their legislative fields, and interpersonal skills,” Communications Director Chris Jusuf said. 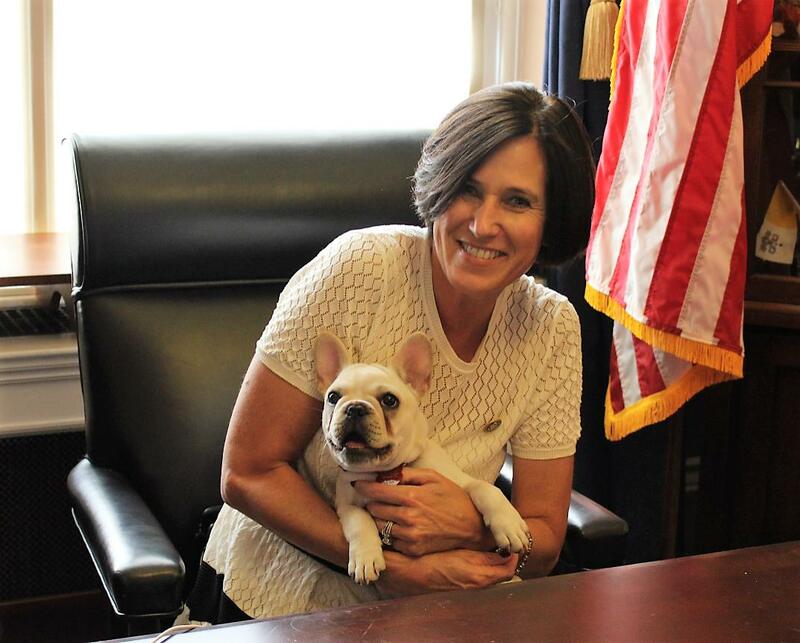 The dogs are owned by Megan Zavertnik, legislative director, and they joined the team in early 2017. 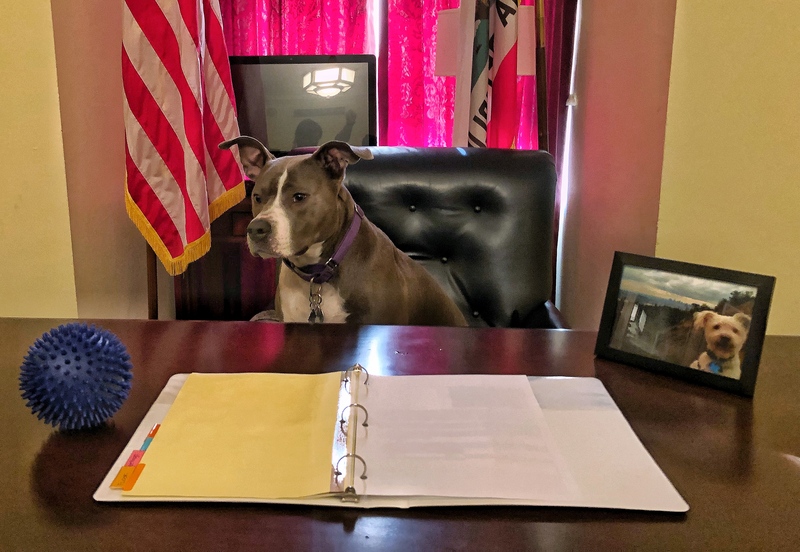 Cali is owned by Legislative Director Rebecca Keightley and first came into the office in February 2008 when she was 8 weeks old. 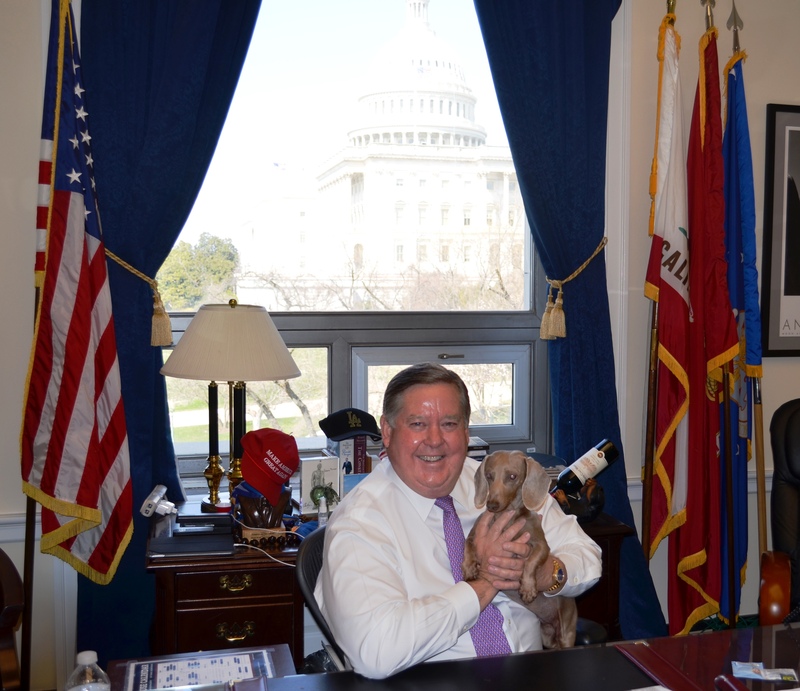 “Congressional offices are high-stress, fast-paced environments, and having a cheerful pup like Carmela around keeps spirits high. She is a 7-month-old mini goldendoodle and a source of constant joy for our office and its visitors. As our Chief Morale Officer, Carmela is in charge of all things adorable and tasked with putting a smile on the face of those who visit our office. It was love at first sight from the moment our deputy chief of staff, John Laufer, introduced her to Team Murphy,” Rep. Stephanie Murphy said. Colt’s owner is Ryan Rusbuldt, legislative director. Colt comes into the office during recess days and hangs out in Tenney’s office. You can usually find him asleep on the couch. 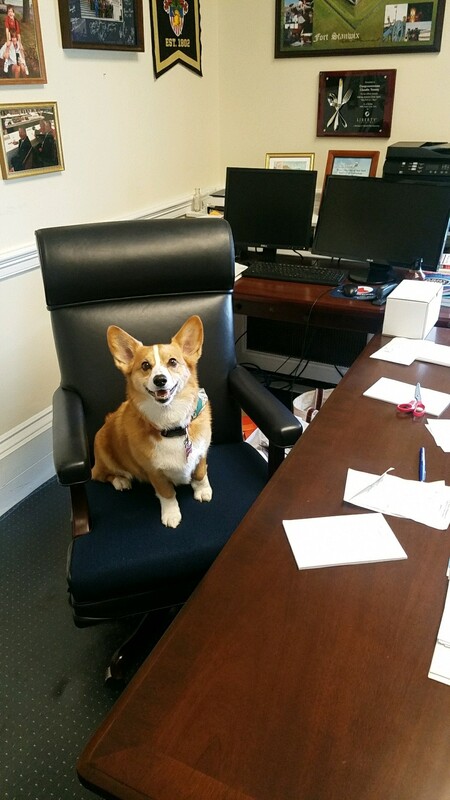 The office hangs a “Colt the corgi is in” sign on the door, and it always brings in numerous visitors.